Hard to find townhome with 3 bedrooms, each with its own bath, PLUS den and full finished basement. Step outside your front door and instead of neighbors, there's open space and walking trails. Freshly painted, new carpet throughout, new flooring in upstairs bathrooms and newly refinished hardwood kitchen floors. Lots of light with large windows, spacious kitchen w/granite counters, a large island - perfect for get-togethers, pantry, dining area adjacent to family room. Enjoy the mountain views from the master suite. The upstairs den features built-in bookshelves. Also upstairs, a large secondary bedroom, bathroom, laundry and huge closets. The basement adds overflow space w/rec room and large 3rd conforming bedroom and 3/4 bath. Super private location on the western edge of the community. The Dancing Willows community is top-notch with a beautiful clubhouse, outdoor swimming pool and trails throughout. 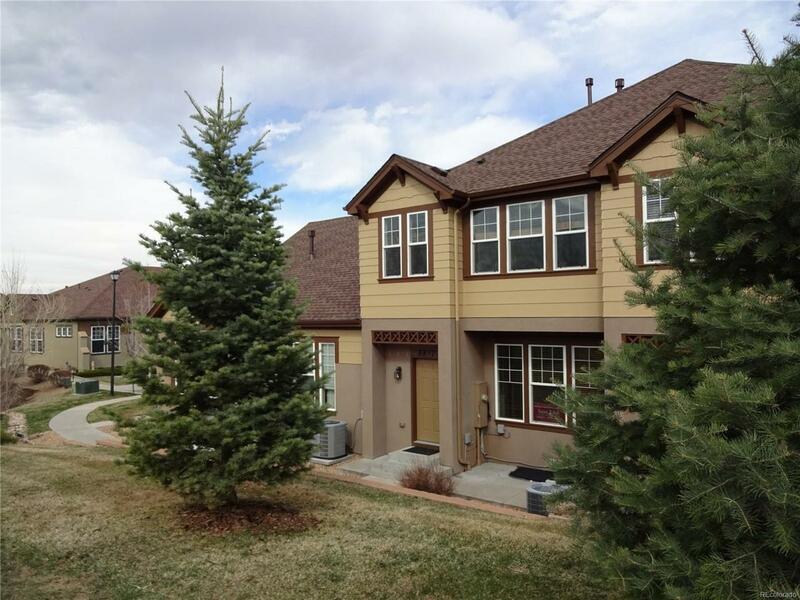 Unbeatable location close to shopping, schools, restaurants, C470, and mountains. Offered by Premier Choice Realty, Llc.